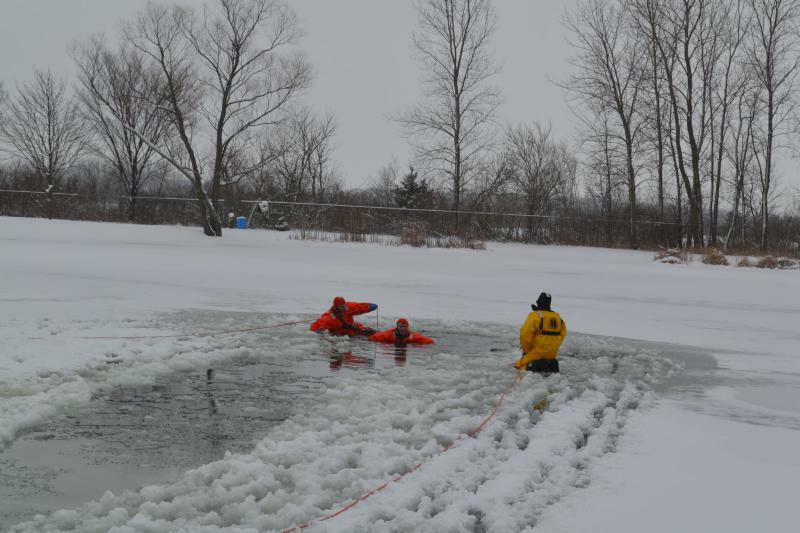 On Saturday February 10th, 2018, crews braved the frigid temperatures, and the subsequent thawing, unstable ice at the Beecher Sportsman's Club for training. 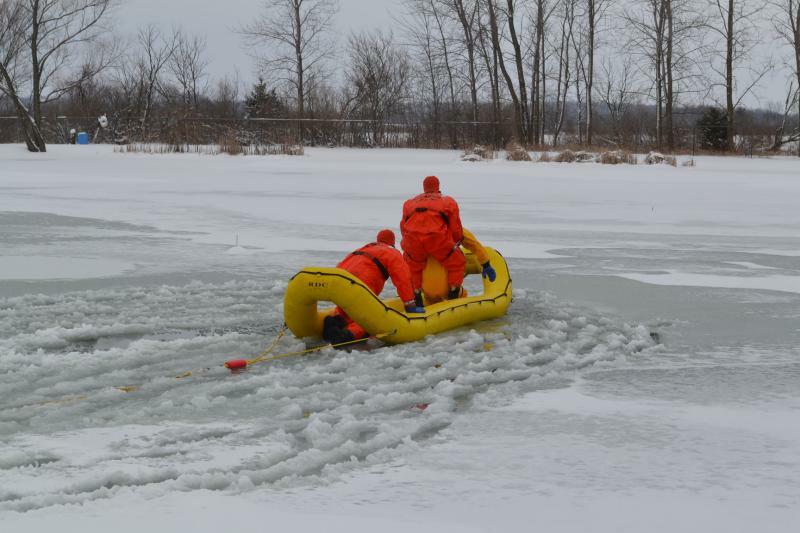 The scenarios allow firefighters to use roping techniques, the Rapid Deployment Craft, ice rescue tools, and ice rescue suits. 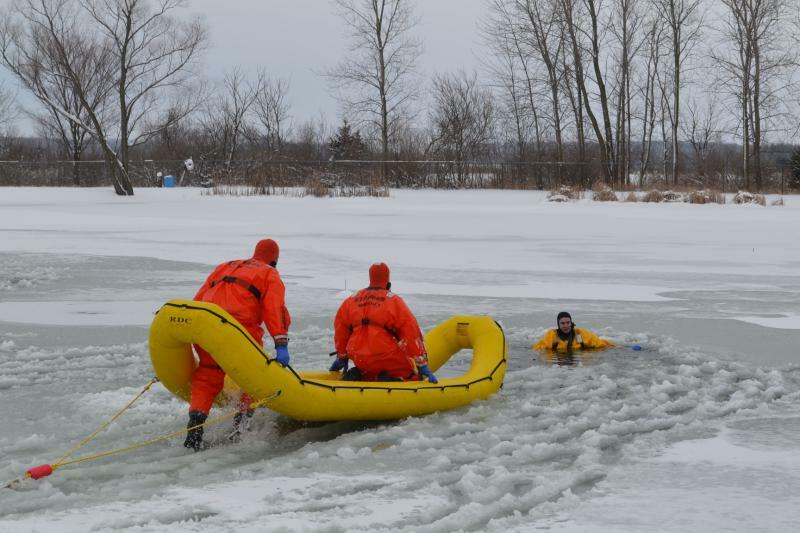 The suits are one-piece including gloves, boots with tread, and a face guard. 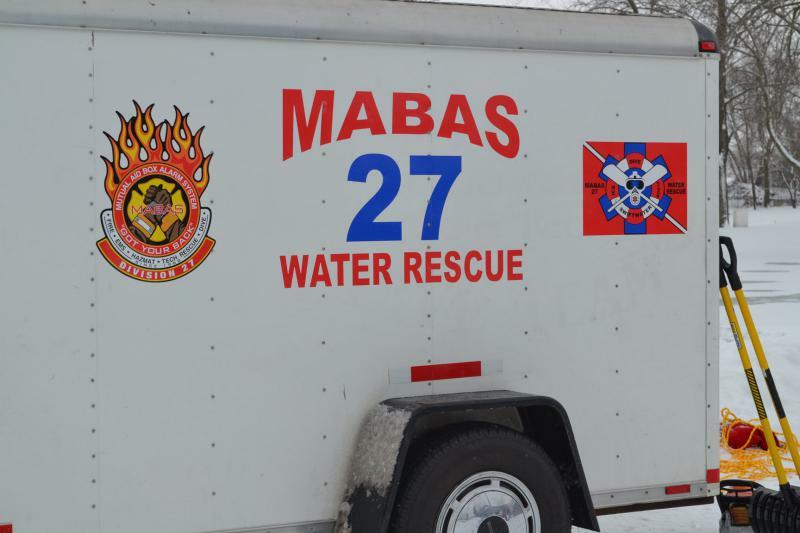 A special thank you to the Beecher Sportsman's Club for allowing us to use the property and Captain Mark Swanson and the MABAS 27 Water Rescue Team!